The snow and ice descending on the East Coast have provided a welcome opportunity to get back in the kitchen and back to hospitality! 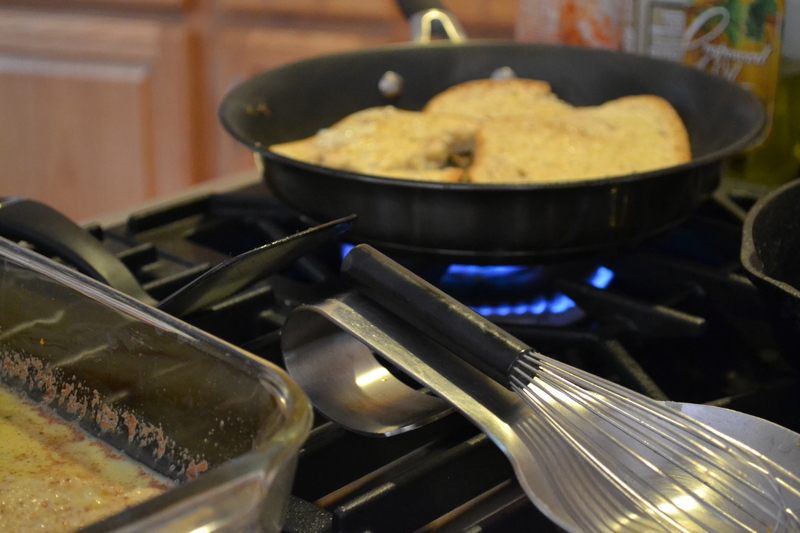 Coming off of this unexpected hiatus from not just writing, but having time to be hospitable, my husband was long overdue to be the focus of my cooking. 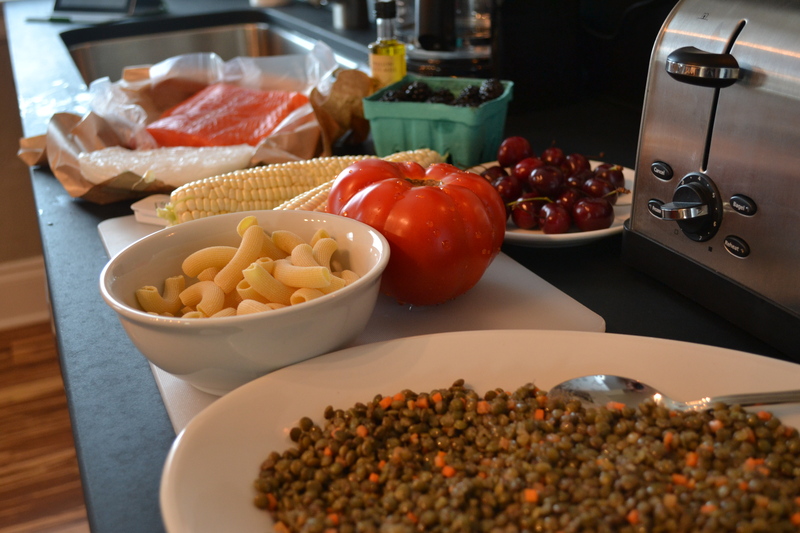 I scoured the fridge and came up with a fun way to incorporate snow into a healthy meal and quality time. I found some leftover heavy whipping cream in the fridge which provided the perfect opportunity to try my hand at homemade butter. Since I only have fresh thyme remaining in my container garden I decided to pair it with lemon zest to create flavored butter. Hostess Tip: You will have a half cup of unflavored butter remaining that you can use for the table, to bake, or season with other spices, herbs, or fruit. One of the keys to making butter is not allowing it to overheat and that’s where the snow come in. You want to chill your mixing bowl before you begin. You can place it in your fridge or freezer but why not use Mother Nature to help the process. 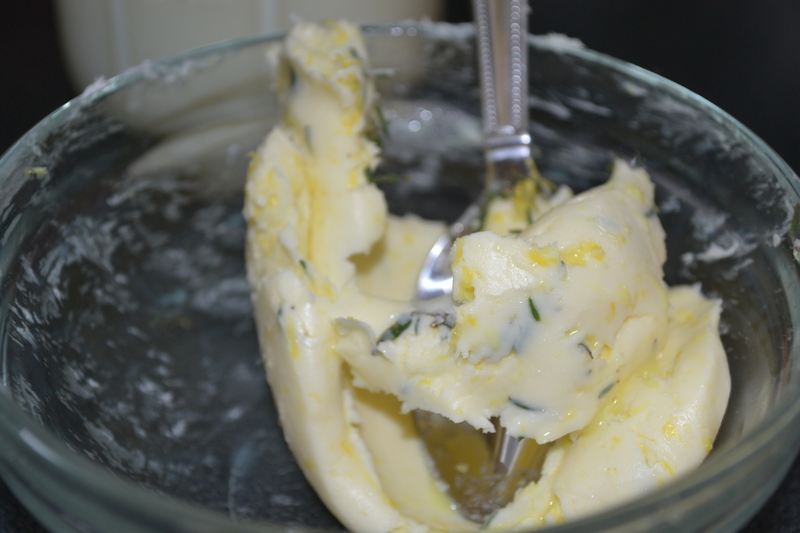 Just place your mixing bowl in the snow for 10 minutes prior to making this butter recipe. 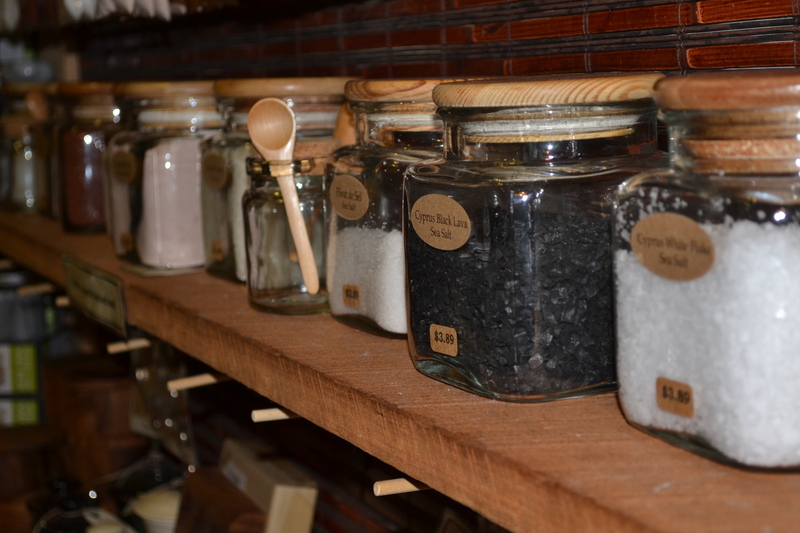 Hostess Tip: Flavor butter with specialty salts like smoked or olive for additional depth of flavor. Planning a whole meal around butter may seem a bit strange but I was determined. A perfect accompaniment for herb infused butter is salmon. 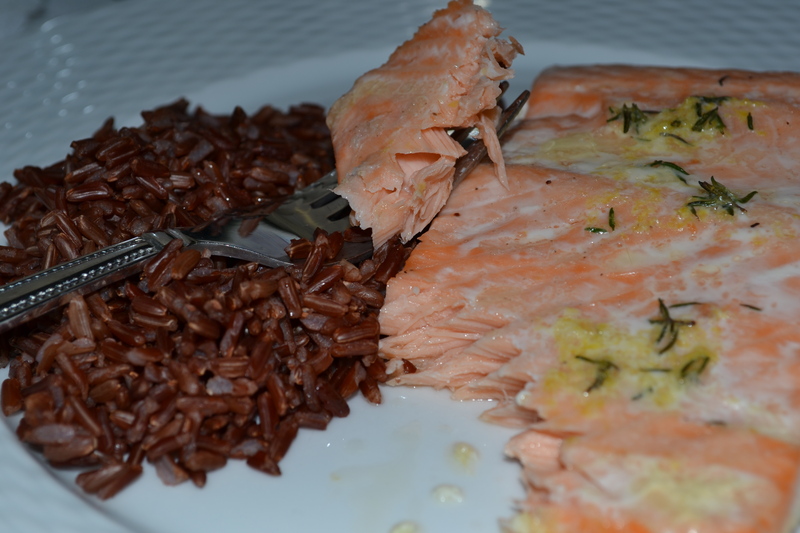 We happened to have some fresh salmon on hand as well as Himalayan red rice to round out the meal. However, I wasn’t satisfied with only one use for the snow. Finding a bottle of champagne sparked another idea. 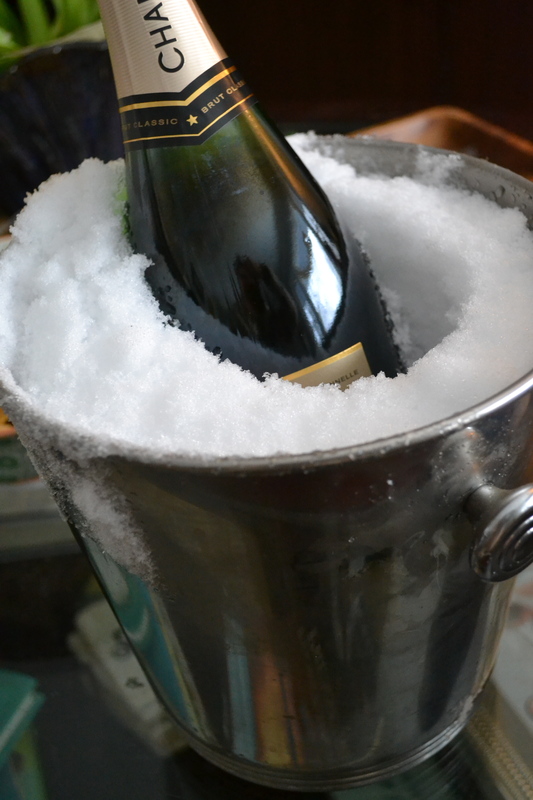 I grabbed a champagne bucket and filled it with snow to speed up the chilling process. 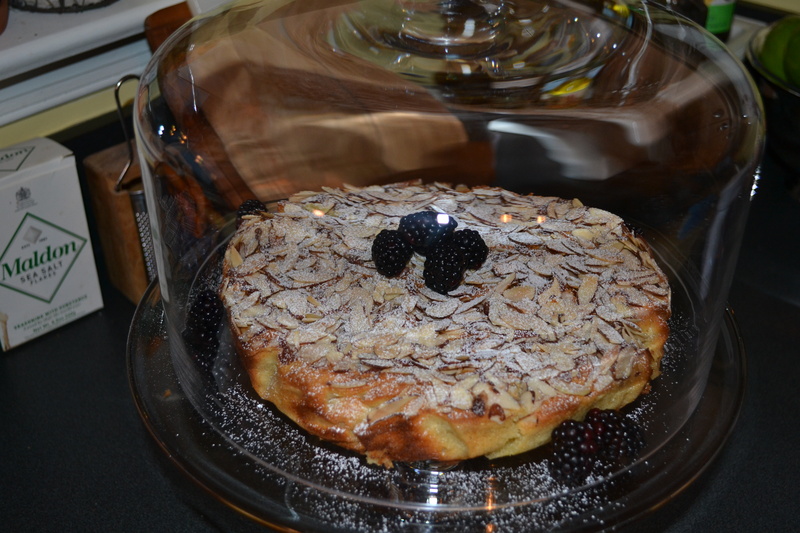 Creating a romantic and easy dinner to bless my husband was much easier than I had anticipated! 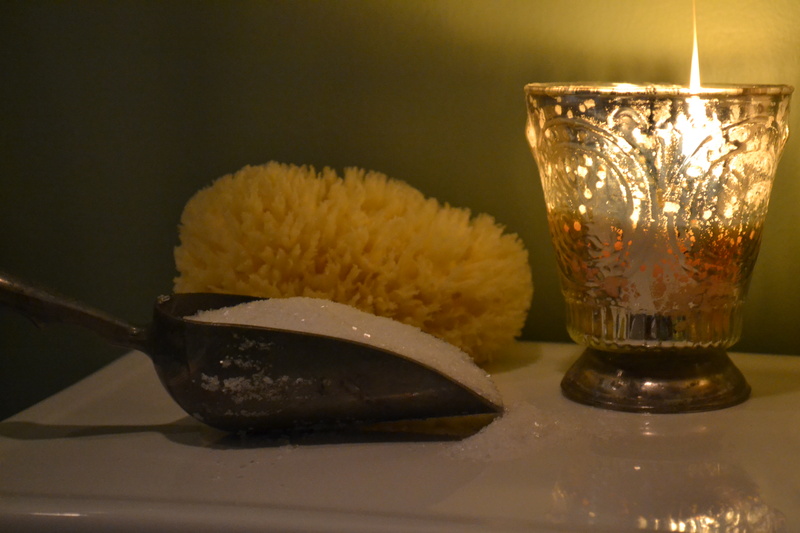 Hostess Tip: Don’t forget to use your crystal, every day is a special day! Before I got started on dinner we took our dog for a long walk in the falling snow and visited with a few neighbors along the way. Feeling fulfilled from good conversation, beautiful snowflakes, and watching the pure joy our dog took in being outside and with us was the perfect prelude for a hearty meal and a glass of bubbly. I hope this blog post inspires you and provides some good ideas for your next snow day! 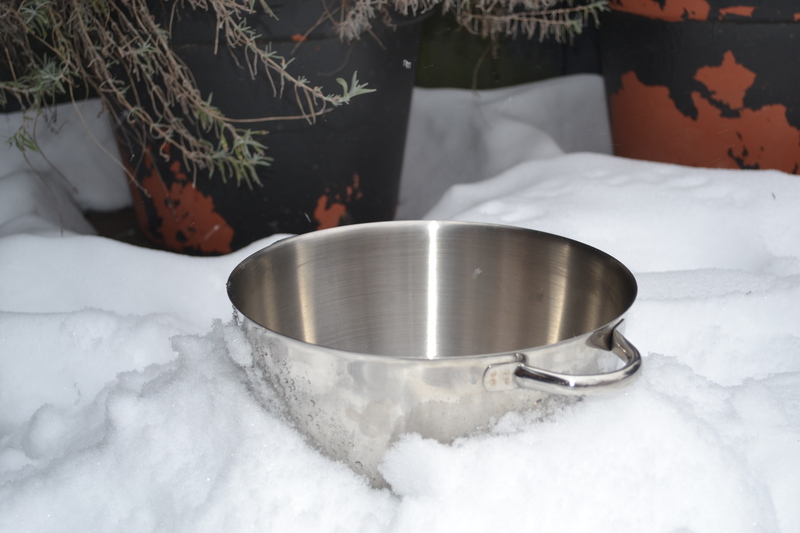 Place mixing bowl in snow for 10 minutes. You can also place the mixing bowl in your freezer for 10 minutes or your refrigerator for 20 minutes. Once the bowl is cooled affix to your stand mixer and pour 2 cups of cream into the bowl. 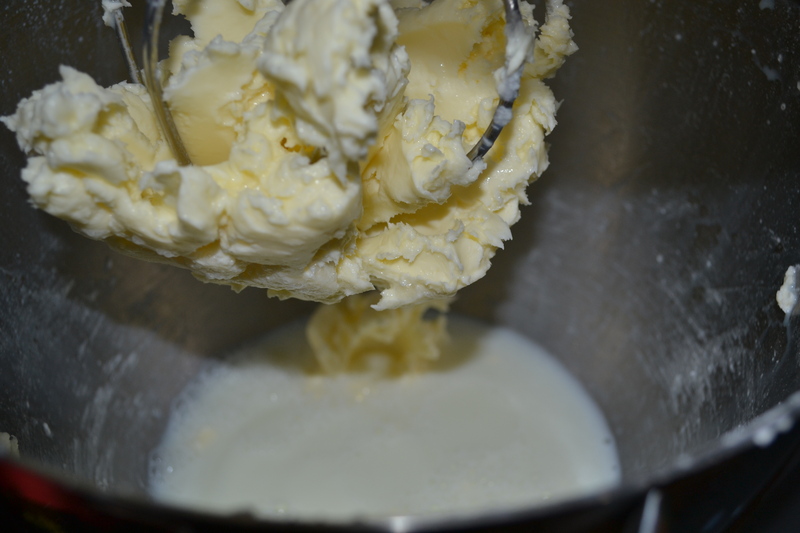 Whip cream for 10-15 minutes until butter is solid and separates from buttermilk. Be sure to periodically scrape cream from sides. Hostess Tip: reserve the buttermilk for future baking. While butter is churning, chop thyme and grate lemon zest. Place both in a small bowl and set aside. 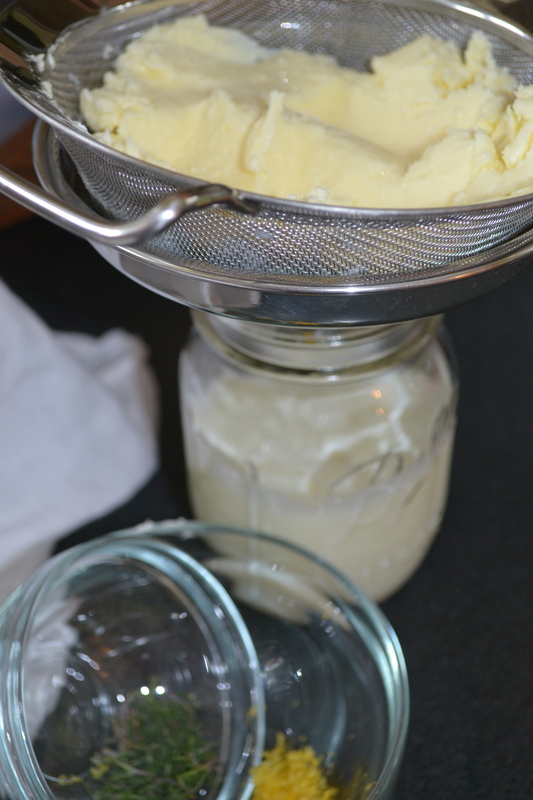 Once solid butter forms place butter in sieve or cheesecloth and using your hands press out any excess buttermilk. 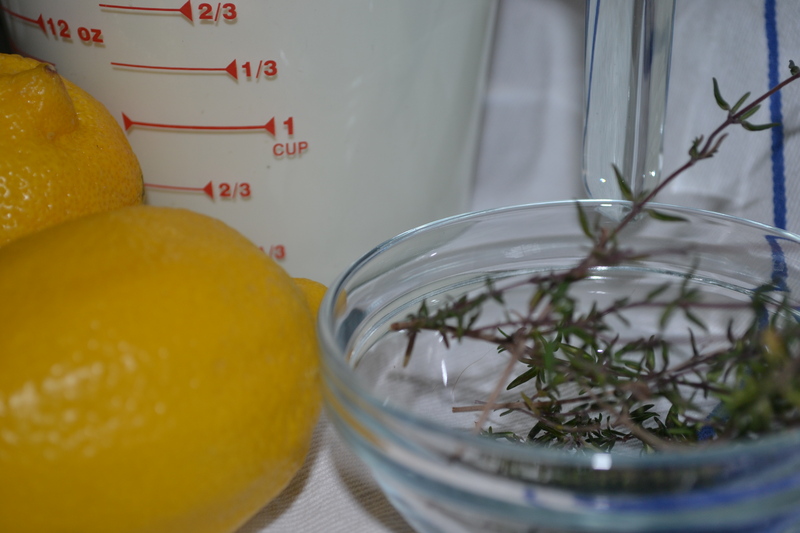 Remove a third of the butter and add to small bowl containing thyme and lemon zest. Mix together thoroughly. 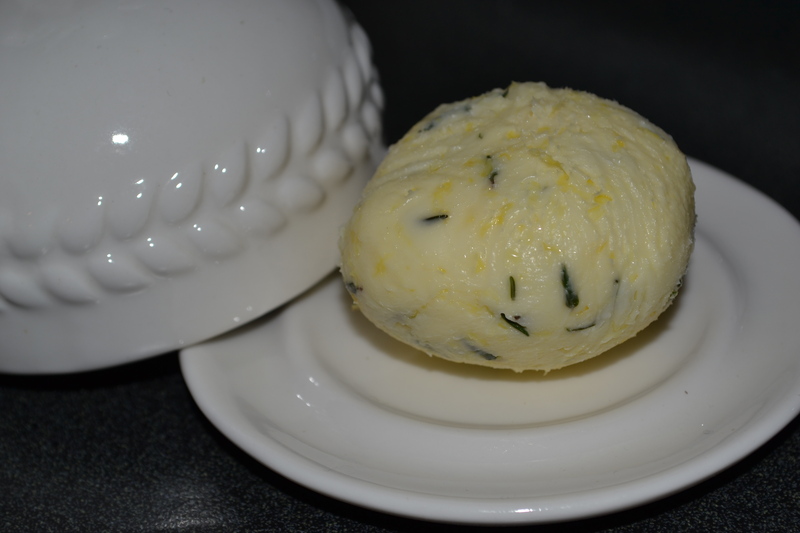 Place both the herbed butter and regular butter onto separate sheets of plastic wrap. Work the butter into desired form and place briefly in the refrigerator to set, about 10 minutes. 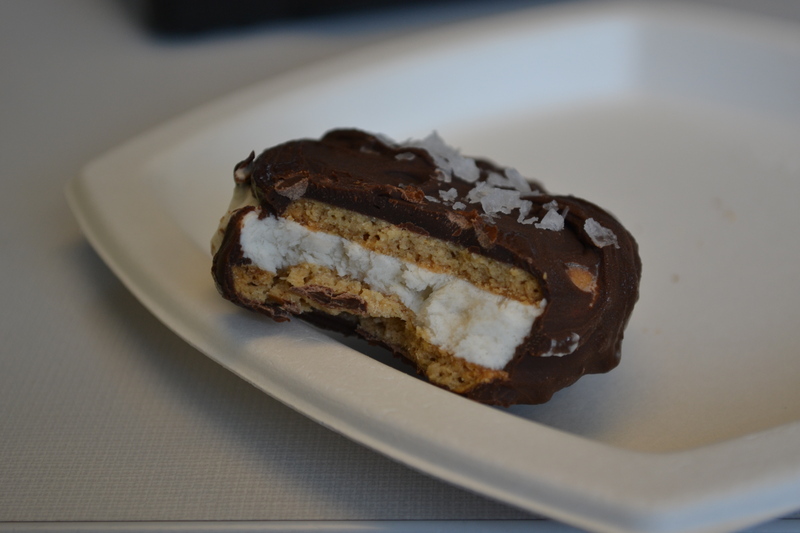 Hostess Tip: Make sure to not keep butter refrigerated, it will dull the flavor over time. 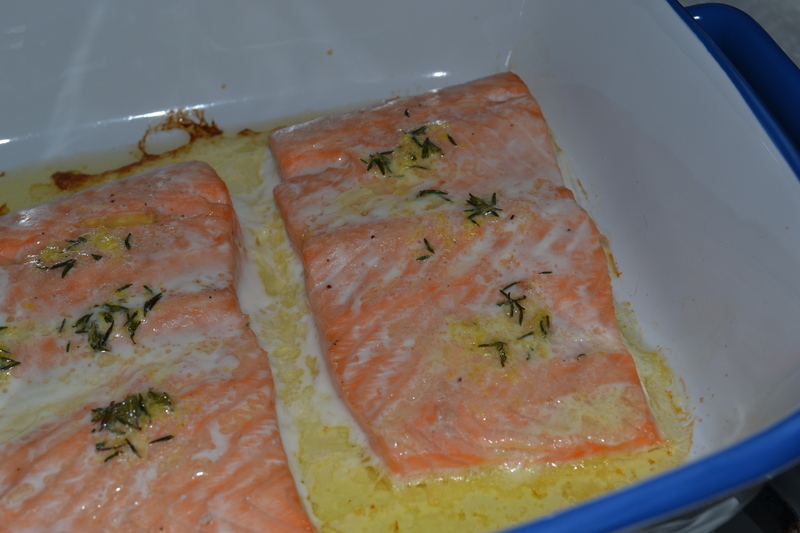 Divide salmon into two equal pieces and place in baking dish. Cut 2 Tablespoon worth of the herbed butter into pieces and equally distribute over salmon steaks. Bake for 10-15 minutes to cook all the way through. Bring water and rice to a boil. Reduce heat, cover, and cook for 20-30 minutes until rice is tender and water evaporated. Divide the rice evenly between two plates. Place a salmon steak on each plate. 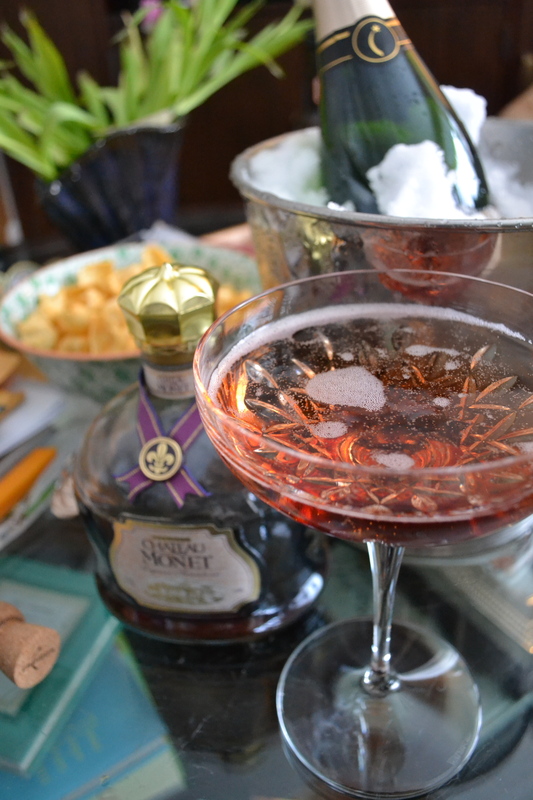 Pour a few drops on chambord into each glass and fill the remainder with champagne. Hostess Tip: For a little extra serve with hot rolls. You can choose the herbed butter or regular to server. After a very long week Sunday nights can sometimes be overwhelming and bring on a bit of dread for the coming week. To recharge my batteries and prepare to face my responsibilities as well as bless my friends and family, I need to take some time for myself. A vital part to of hospitality is to keep your own cup full. On Sunday evenings, once all my chores are done and errands run, I take some time to relax.